Stylish short slip pen case for the Faber-Castell E-motion range. 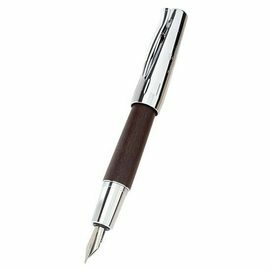 These diminutive cases feature 2 panels of crocodile grained leather to neatly grip the pen. The larger piece of leather wraps around to form 3 sides of the case, connected along it's length by the second piece of leather. 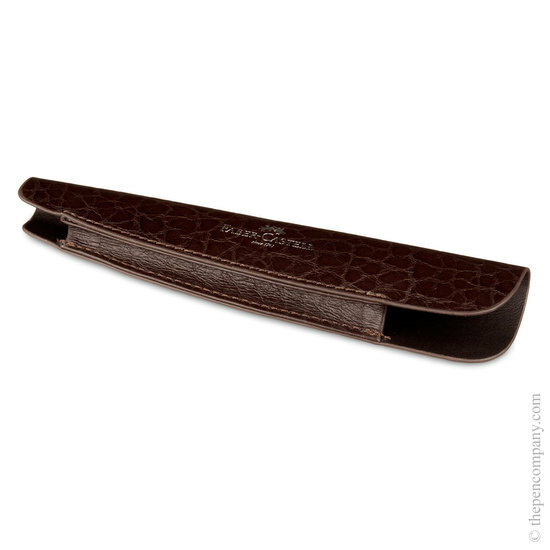 The smaller piece follows the contours of the larger curve, allowing the case to flex and grip. 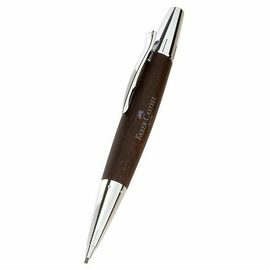 The textured finish is complemented by Faber-Castell's logo embossed in silver.